Puerto Rico's astounding geographic diversity can be experienced within a day's drive. The island is ringed by a flat, coastal plain. Like a mammoth spinal column, the Central Cordillera mountain range runs east to west through the middle of the island at elevations from about 1,000 to 3,000 feet. The highest peak is Cerro de Punta at 4,398 feet. Puerto Rico has nine lakes, 50 rivers and several smaller streams. The 28,000-acre Caribbean National Forest, more commonly called El Yunque rain forest, contains some 240 different types of trees, while Guánica's dry forest offers bonsai-like vegetation. Mangroves are found throughout the island's coasts. 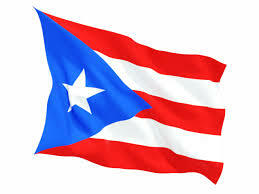 The Commonwealth of Puerto Rico lies 1,047 miles south east of Miami and 548 miles north of Caracas, Venezuela. The U.S. Virgin Islands are on the east and the island of Hispaniola, comprised of Haiti and the Dominican Republic, the west. Puerto Rico is the smallest island of the Greater Antilles. Puerto Rico has a tropical climate at low elevations and subtropical climate at high elevations. Rain and the temperatures are both affected by the NE trade winds. During the summer months, May –December, the humidity is high and most of the rainfall occurs during these months.